I wrote about the Razor Clam festival a few years back. I am having a lazy moment and decided to repost the original from 2014. The website is the same and there is a long list of events scheduled for 2019. Do you really need an excuse to go to the coast? Well, just in case you do, now you have one. It's Back! Yes the classic Razor Clam Festival is back in Long Beach. 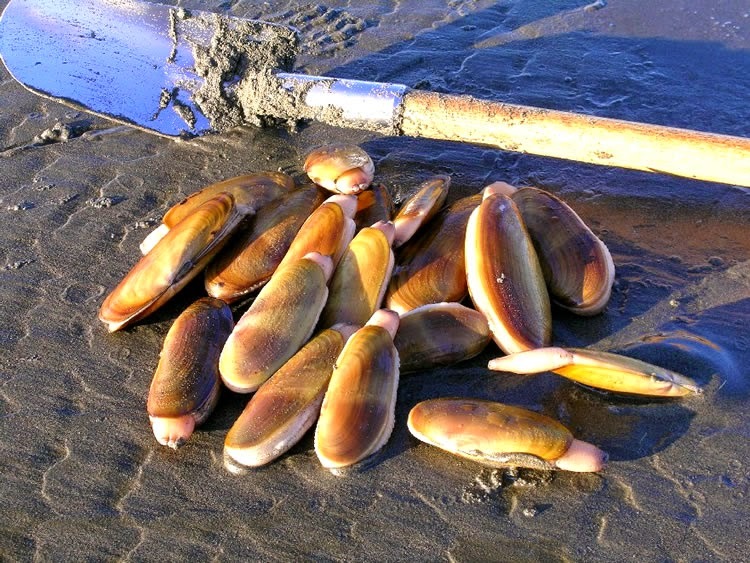 Clamming has long been a favorite past time on the beaches of the Pacific Northwest and the Long Beach Razor Clam Festival has roots dated back to the 1940s. The community has teamed up with private sponsors and the State Department of Fish and Wildlife to put on a great big festival April 19th and 20th. Check out the website for the event here. The Southwest Washington Coast is a great place to visit and a fabulous place to live. 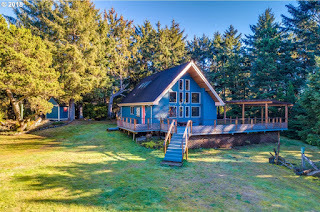 I have spent many a word writing about the great value afforded to property in this Long beach Peninsula market and now could be an ideal time to buy your dream getaway home or retirement home in tax friendly Washington State. Whatever you fancy, get out to the coast and check out the Razor Clam Festival starting on the 19th. March at the beach is not typically filled with frosty mornings, yet here we are with exactly that. Maybe this chilly but sunny weather will bring out the house hunters. I have often showed value oriented properties here, inexpensive properties for the budget minded beach goer. But the deals don't stop at the entry level price range; what if I told you there was a beautiful house on a nine acre parcel of beach front property for less than $600,000? Now will you take the red pill? OK for those of you that haven't seen the Matrix, both of you ;) That was a movie reference. 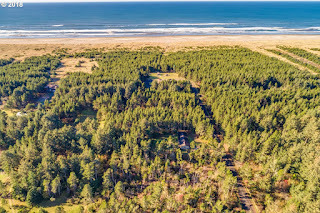 It is real and only on the Long Beach Peninsula could such a great estate be priced so reasonable. Sotheby's International Realty has this fine property listed and I figured I would feature it right here on the blog. This fantastic retreat style home has 1590 SF 3 beds and 2 baths. The chalet style fits with the wooded forest meadow the house sits on. The property leads down towards the beach. for which there is a 200 foot wide piece all the way to mean high tide. All this, right on the beach for $595,000, no way, I must have taken the blue pill by accident, is this real? Yes it's real friends. The Long Beach Peninsula offers excellent values like these and for those that can't swing the half-million dollar stuff, I found older single wide mobiles on 0.25 acre lots for less than $50k. I never cease to be amazed at the huge difference in value between the Northwest Oregon Coast and the Southwest Washington Coast. All just separated by a bridge across the mighty Columbia River. Take a ride out to the coast, enjoy the sun and surf, or the strong storms crashing the beach, but while you're out there, peak around at the real estate. You never know what treasures you may find. 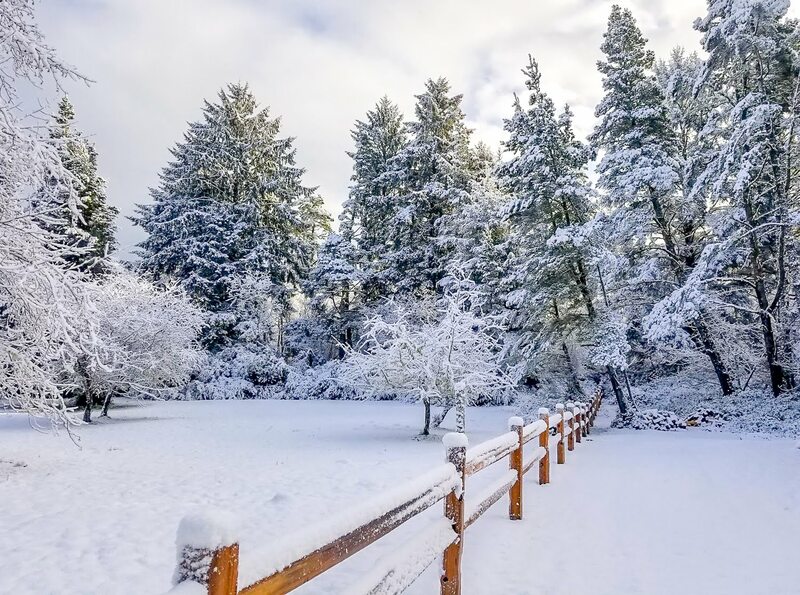 Southwest Washington doesn't get a whole lot of low elevation snow with a couple of incidents a year on average typically delivering 6-12 inches a year. The beach however averages more like an inch or so per year and that typically comes in an every few years event. Sunday and yesterday was one such event. 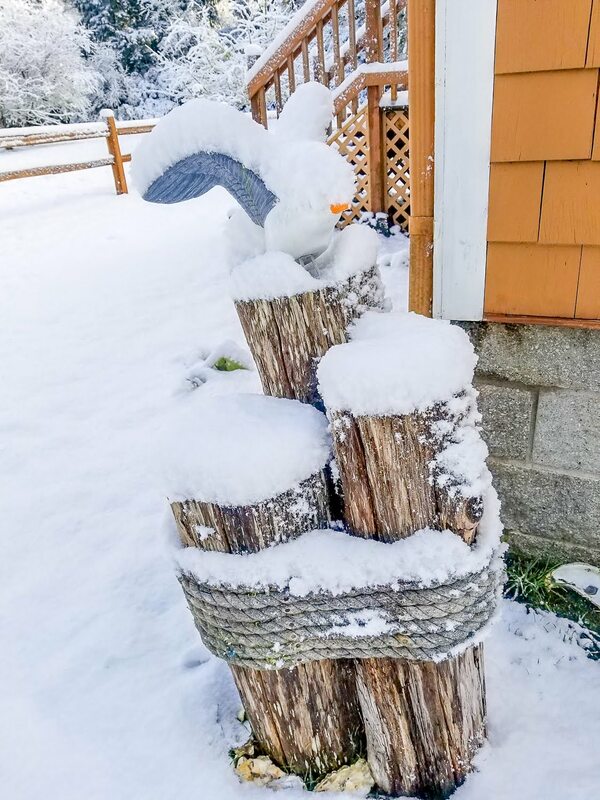 My sister lives at the coast and she provided some pictures of the rare winter wonderland at the beach. This system that came through clipped the coastline from Northern Oregon up through the Olympic Coast but inland it more or less missed the Portland Metro which only got a light dusting in the valleys. Seattle on the other hand got a much bigger shot of snow with a few inches clogging up the Pacific Northwest's largest metro area. 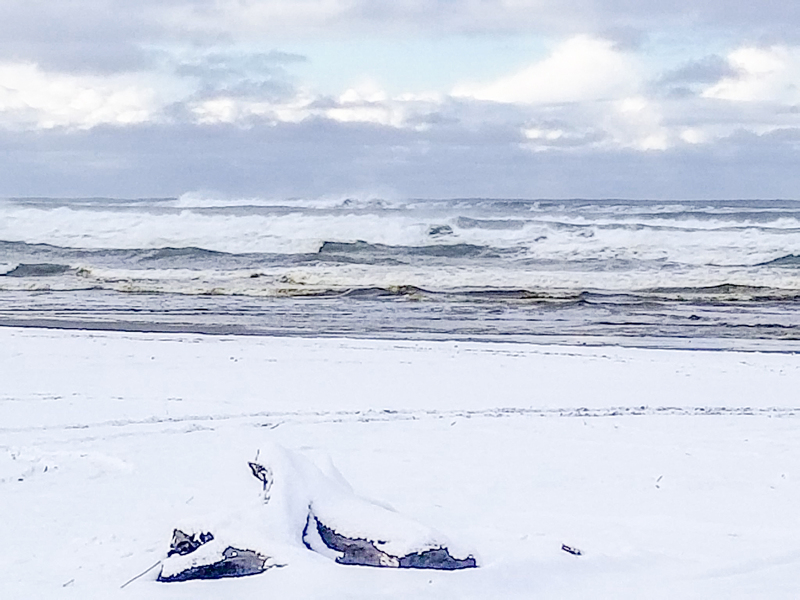 There is something magical about snow on the coast. Out here on western side of North America we don't get a lot of coastal snow even in the northern reaches. The onshore flow and relatively warm ocean waters create a very mellow climate. So when a good old fashioned snow dump does happen it is really special. 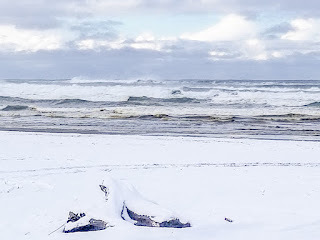 The crashing waves splashing up against a snowy beach rather than the usual sand is awesome. Temperatures at the coast were unusually chilly as well and this morning dropped well below freezing. It is possible another round of light snow may mix in with rain at the end of the week. Inland in places like Portland and Seattle, more snow is likely. Ho, Ho, Ho it's that time again! Yes December has arrived and once again the beach is in prep for holiday fun with a salty twist. Check out https://funbeach.com for events on the Long Beach Peninsula for the holidays and more in 2019. One of the stark contrasts with the weather and climate on the Washington coast as compared to inland areas like Portland-Vancouver is the nearly flat chart of average temperatures across the whole year. Yes if you like a fairly predictable temperature over the course of a whole year, it is hard to beat the beach. Of course it is wetter and windier at the beach but the temperatures are nearly static. Look at that chart! In Long Beach, WA, there is only 16° of difference between the average high in July and the average high in January! Contrast that against Vancouver, WA where the difference is 36°. Or how about a place like Spokane, WA where the difference is an astonishing, 50°. You may find it interesting that Long Beach, WA has the same difference in average daily high as San Diego, CA! Yes San Diegans enjoy a tight 16° spread between summer and winter as well. Yes, I know the spread is the same but So-Cal is much warmer. To be fair the coast tends to favor a cooler climate, but the moderating effects of the mighty Pacific Ocean keep the extremes minimized and the averages very predictable and pleasant all year long. Heat waves in the summer are very rare and when they do happen they are quite short lived. Deep freezes in the winter are equally rare and again very short lived. So if you want to live in a place that doesn't really have a major shift in seasons then the coast could be the ticket. It is really a two season affair on the Washington Coast, a short 4 months of mild summer weather and long but very mild 8 months of winter. The beach is affordable and fun all year round, check it out! I was delighted to be able to help my recently retired sister and brother-in-law find a suitable property at the coast. 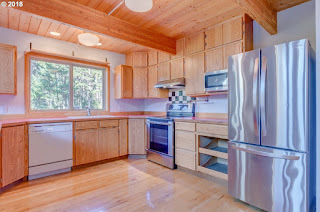 They found a lovely remodeled manufacture home on a large 1.25 acre parcel in Oysterville on the Long Beach Peninsula. From this locale they are a short bike ride to the crashing Pacific Ocean or the bayside of the peninsula. They love it at the beach! I don't think they ever thought they would be able to own property in a beach community, yet now they do. From San Diego, CA to Warrenton, OR the Pacific coast is expensive and for many unobtainable. But SW Washington has a little sweet spot where real estate prices remain affordable. My sister and her husband were overjoyed to be able to afford a nice little place on large lot so close to the sea. Hey guys I am taking a cross country road trip with my youngest son, so I'll post this from a few years back about the steady eddy weather on the coast. You Like Your Weather Static? Coastal Cottages still a Value! The Long Beach Peninsula continues to offer an amazing beach experience for a price within reach of the middle class. I write about it a lot because this is not a fixed opportunity. The market may not always offer up this kind of value. 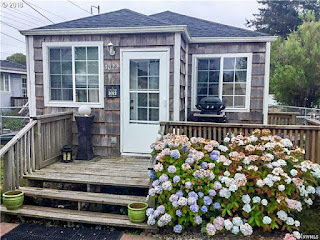 Recently my sister and brother-in-law joined the ranks of the beach crowd, buying a modest mobile home in very nice condition on the north end of the peninsula. This lovely home is situated on 1.27 acres and offers privacy and beauty. 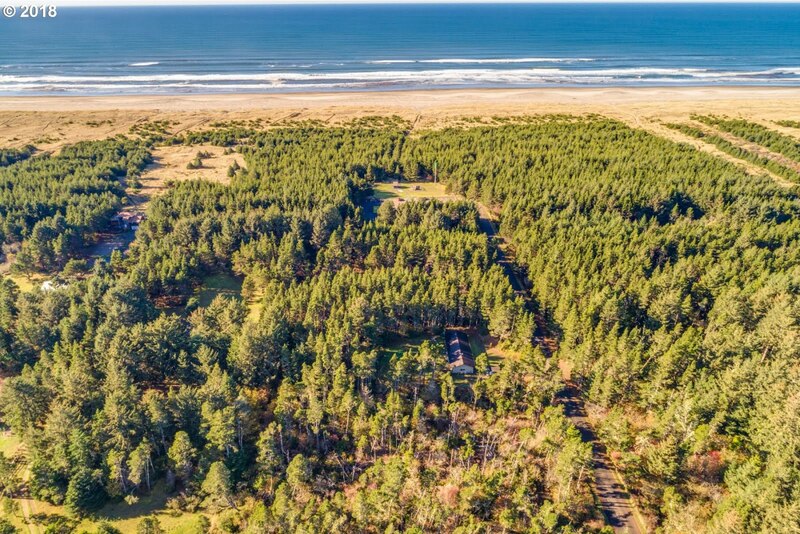 It is about a five minute drive to crashing surf of the Pacific Ocean or to the gentle shores of the Willapa Bay. They were looking in the 150-180k range and found a number of opportunities. In the end they decided a mid peninsula location with a larger lot was preferred over a smaller 'city' lot closer to the shore. 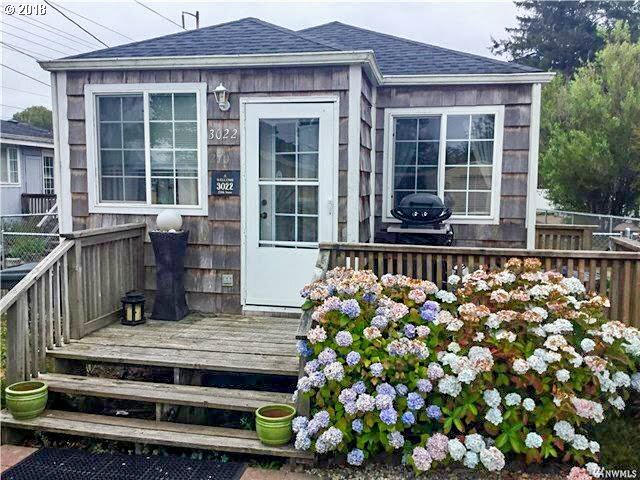 Make no mistake friends, they had lots of options and even viewed a classic beach house style cottage with a view of Willapa Bay! There were a few cottages just a few blocks to the beach and all fell into their modest price point. The beach is attainable and who doesn't like the beach, seriously? Rod Sager, Evergreen Online Enterprises, rodsager.com. Picture Window theme. Powered by Blogger.